If you’ve ever suffered from hard disk failure or data loss you know what it’s like. 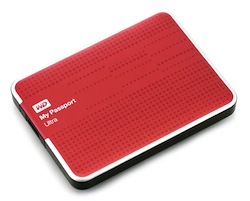 Your family photos may be stored on an external hard drive that you’ve accidentally dropped, or your important business data was safely stored on the company NAS or RAID server until the server crashed and your data went with it. I can think back to the turn of the century when the business of data recovery was extremely niche: there were only about 5 or so companies in the entire UK who specialised in recovering data from failed hard disk drives. The irony is that there still is this number BUT now there are hundreds of other companies who claim to be able to recover data. When a hard disk fails it usually means that a part inside the drive has broken No software is going to be able to do anything about this because there’s a part that is physically damaged. The only way to recover this data is that have the part replaced and the drive rebuilt. This is an extremely technical process and requires specialists who know what they are doing. But if your hard disk has broken and you need the data off of it how do you know you are sending it to a good company? Fortunately in the UK there is now a new website that provides up to date reviews of UK data recovery companies. If a company is good, the web site will tell you. If another company is bad, the web site will tell you. It’s a very good and trusted data recovery resource. If you have ever had a hard drive on your computer crash, you know what it means to have that sudden sickening feeling, wondering if you have anything backed up anywhere. 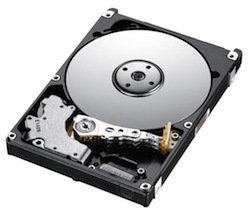 The average life of a hard drive is about 5 to 8 years, before it gives up the ghost and crashes, or ceases to work. Yet, here you might have half of your life stored on that hard drive, and that is a sobering moment in anyone’s life. While it is wise to backup our information on another storage device, it doesn’t always happen that way, and the backups are not always perfect. If you are one of the fortunate ones who has your information backed up, you can breathe a sigh of relief. If not, then things could be bad. 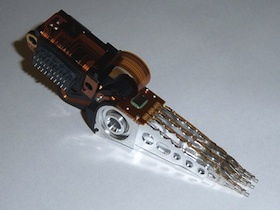 In the early days of computing, a hard drive crash meant that the read/write head on the hard drive had come into contact with the magnetic disc, which is spinning. This would cause a whole lot of damage, thus the use of the term, “crash.” Modern discs are pretty well protected against that now, and are less vulnerable to many of the problems that used to surface. In these days, a similar situation can happen, but it is a problem with software, more than hardware. It can also be loose connecting cables, which can be easily checked, but if not then a partial recovery is still possible. Most of the time the problem stems from a file system that become corrupted, and usually it has to do with the files that communicate from the drive and the hardware of the PC, or the operating system. In this case the actual files that are stored on the hard drive will still be intact, in most cases, so they could possibly be transferred to another PC by a USB caddy, or another portable hard drive. If a virus is causing the problem, it might not be wise to transfer the data, because you will be transferring the virus as well. Most data loss events are caused by human or mechanical error. The human part also includes not properly protecting systems from malicious viruses and such types of programs. The recovery of data can be performed by commercial services that can get to the bottom of what caused the problem. It can sometimes be expensive, depending upon the extent of the problem. 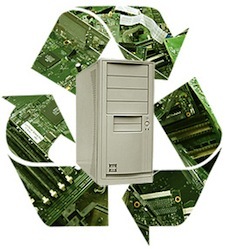 Recovery of file systems can usually be handled by system administrators or by users. Sometimes files may have been corrupted to the point of having their entry code changed, and it is a matter of changing it back to its original state. The file was not lost, it was just not talking. In these cases, once the file is repaired, then it can be accessed. The best way to avert the problem is to store important data somewhere else in a separate location. In recent years, some commercial capabilities have offered their services to do just that, and more recently service has been made available for storage in the cloud.